THE mushrooming of bars in townships has angered Lusaka residents who have appealed to Lusaka City Council (LCC) to intervene and shut down all illegal drinking outlets. The residents complained that a good number of bars were operating illegally, outside the local authority by-laws. They said because of the increase in the number of illegal bars, the development had contributed to a rise in underage alcohol intake in the sprawling townships. Davies Kasonde, a resident of Lilanda, charged that some bars were operating in unhealthy conditions that posed serious health risks to the patrons. Mr. Kasonde said that the council should ensure that they gave licences to people with drinking places in healthy environment. He said the illegal bars were contributing to too many people being involved in alcohol abuse especially the young people. “There is need for the council to regulate the issuance of bar licences because if they keep dishing out these documents without due care, the situation will certainly get out of hand,’’ he said. Mr. Kasonde said bar operators should be considerate of their environment and not just focus on making money. 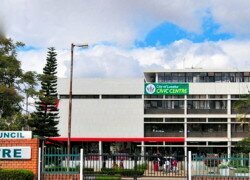 And Lusaka City Council (LCC) has disclosed that it had computerised the issuance of bar operation licences to ensure that there was no corruption in the process and people did not forge the documents. LCC public relations manager Habeenzu Mulunda said the licensing committee had resorted to using computers to ensure there was transparency in the issuance of bar licences in another effort to curb illegal bar operations. Mr. Mulunda said the computer system would entail that only one person would be charged with the respo0nsibility of issuing licences to bar operators. He said the council was dedicated to ensuring that only legal bars operated in townships by following the laid down rules. Mr. Mulunda also urged parents to ensure that they kept their children away from drinking places. He said it was the duty of every parent to ensure that they taught their children how to be productive in society to benefit other people.